(Joshua Paladino, Liberty Headlines) MSNBC’s Morning Joe Panel on Thursday could not not figure out why Americans voters do not like Sen. Elizabeth Warren, D-MA. Warren has had a likeability problem since the campaign began. The Washington Post reminded voters in January that her likeability problem is caused by sexism. 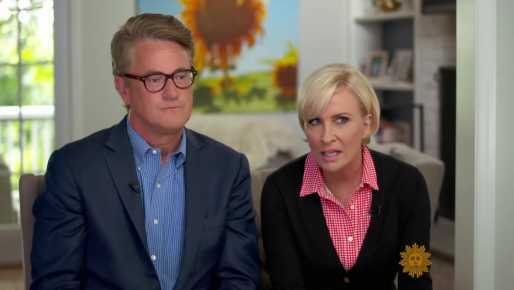 Scarborough, co-host Mika Brzezinski, and the panel were responding to a New Hampshire primary poll that showed Warren in fourth place with 9 percent support. Warren trailed former Vice President Joe Biden with 23 percent, Vermont Sen. Bernie Sanders with 16 percent, and Mayor Pete Buttigieg with 11 percent support. “So far this is a mystery to me why Elizabeth Warren is not doing better in some of these early polls,” Scarborough said. Warren has made multiple blunders in the campaign so far, including embarrassing herself in a protracted confrontation with President Donald Trump about her virtually non-existent Native American heritage.